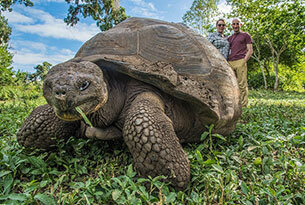 Galapagos Cruise and Scuba Diving Adventure: Jump In! The Galapagos Islands rank as one of the world’s top dive sites, famous for its incredible underwater wonders, and huge quantities of marine life. This package offers a full-day SCUBA diving tour for guests that wish to experience the impressive diving in Galapagos, all in a safe and fun environment. This 10-day program includes some of the most memorable dive sites within the central region of the archipelago, as well as a further exploration of the western region of the Galapagos aboard the Santa Cruz II. 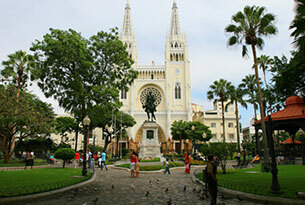 Additionally, Guayaquil city on the mainland will serve as the perfect beginning and end to this once-in-a-lifetime adventure in Ecuador and the Galapagos. 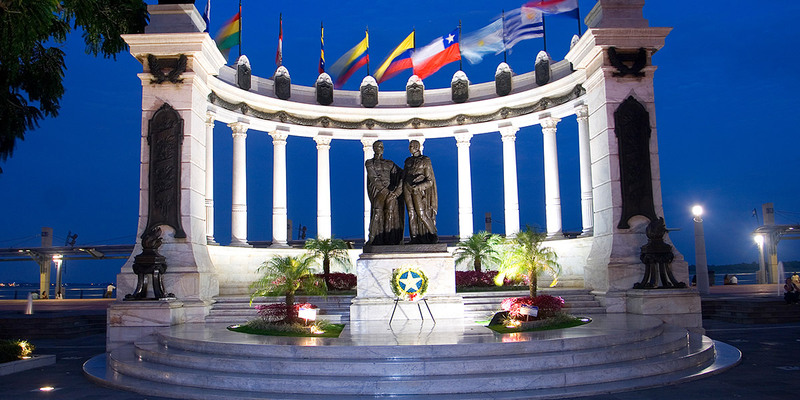 Welcome to Guayaquil, Ecuador! At the airport, you will be greeted by a member of our team who will assist you with your luggage and transfer to the Wyndham Hotel. During the ride, you will receive a brief introduction of Guayaquil and Ecuador along with valuable information regarding your stay in the country. We’ll get to experience iguanas going about their business at the lovely Seminario Park and take strolls through the Centennial Park and Administration Plaza. Additionally, we’ll get to visit the Las Peñas Neighborhood and enjoy a walk down Guayaquil’s large and romantic Malecon 2000 Boardwalk. 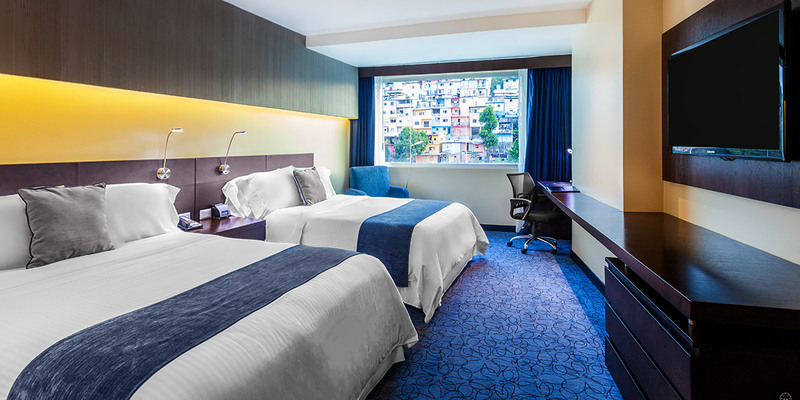 Overnight at the Wyndham Hotel in Guayaquil. 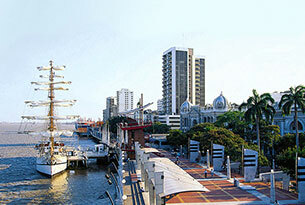 On this morning, you’ll be transferred to Guayaquil’s airport to board your flight to the Galapagos Islands! 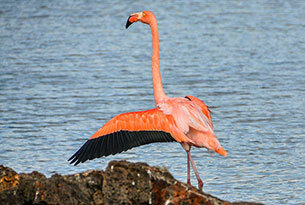 Upon arriving in Galapagos, you’ll receive your airport transfer to the Hotel. Once there, you’ll get settled in, enjoy the rest of the day at your leisure, and enjoy a delicious dinner at the hotel. 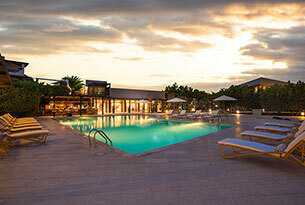 Overnight at the Finch Bay Galapagos Hotel. On this day, after breakfast, you’ll head out for your full-day SCUBA Diving Tour, which will include a total of two seperate dives and an included box-lunch. Diving Sites will be confirmed by your Destination Expert. At the end of the tour, you’ll be taken back to the hotel. 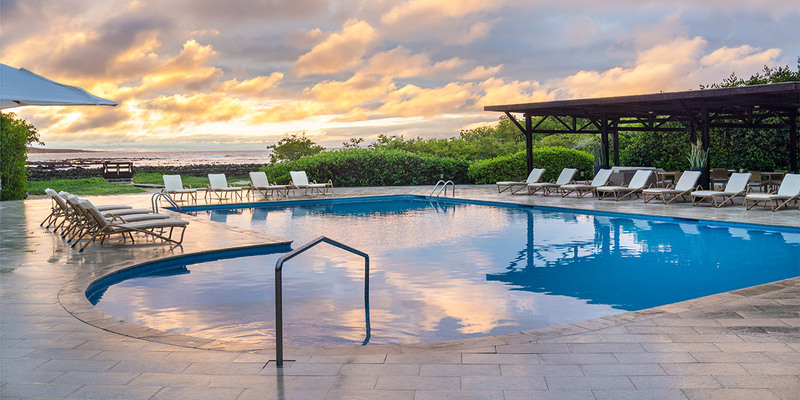 Overnight at the Finch Bay Galapagos Hotel. 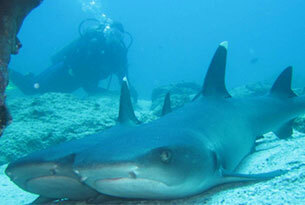 Please Note: A PADI Certification is required to do SCUBA Diving in the Galapagos. On this morning, you’ll take your transfer to the airport (Baltra Island), where you’ll meet the rest of the guests and board the Santa Cruz II with them. Following an onboard introductory briefing, we partake in an emergency boat drill. Afterward, receive your cabin assignment and enjoy lunch. The first stop along our journey is Cerro Dragon. The fascinating landscapes of Cerro Dragón (Dragon Hill) on Santa Cruz’ north shore feature a brackish-water lagoon frequented by American flamingos. Further inland, the trail offers beautiful views of the bay. This destination offers us the chance to observe the enigmatic flightless cormorant! 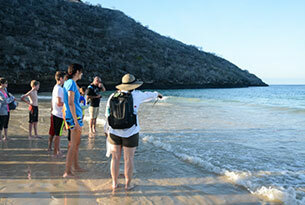 Weather permitting, snorkeling alongside the cliffs offers a chance to see rich marine life. In the afternoon, explore the archipelago’s youngest island, Fernandina. The complete absence of introduced animals is one of its biggest draws. 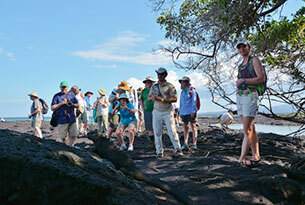 Species such as iguanas, sea lions, Sally lightfoot crabs, hawks, penguins and flightless cormorants can be found here. In the morning, we visit the Charles Darwin Research Station, which consists of a giant tortoise Breeding Center and prickly-pear cactus forest, home to many land birds. Following this visit, you’ll take a private transport to the Highlands of Santa Cruz Island where you’ll stop off at a restaurant and enjoy lunch in an entirely different ecosystem. After breakfast, you’ll be able to enjoy the beautiful views from the lookout at Baroness Cove. Following this activity, you’ll disembark at Post Office Bay and visit the historic Post Office Barrell, which has served as a correspondence center in the archipelago for over two centuries! After lunch, you’re invited to snorkel or ride along on the glass-bottom boat to explore the wonders of Champion Islet. This extinct shield volcano is considered one of the best snorkeling spots in all of the archipelago. From here, we’ll head over to Cormorant Point and a wet landing on an olivine-crystal beach for a leisurely walk that includes a brackish-water lagoon where American flamingos, pintail ducks, common stilts, herons, sandpipers, and other birds tend to gather. You will disembark at Baltra Island and take your transfer to the airport to catch your flight back to the city of Guayaquil. 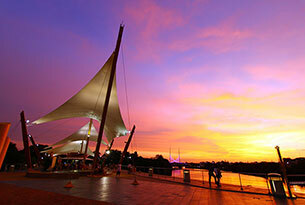 Once in Guayaquil, you’ll take your transfer to the hotel. Overnight at Wyndham Hotel in Guayaquil. Day 10: Transfer to Airport / Farewell! At the designated time, you will be picked up from your hotel to take your transfer to the airport. Safe travels! 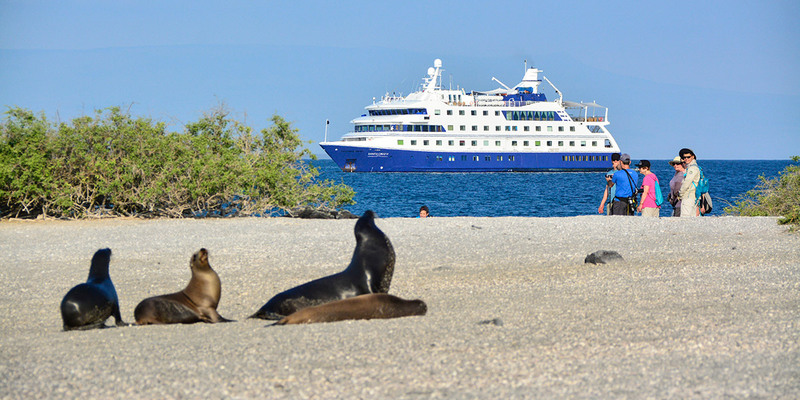 Galapagos itineraries and SCUBA Diving Sites are subject to change due to weather conditions, logistical reasons, guests’ safety and/or Galapagos National Park Regulations. I travelled as an educator on a tour. The logistics were flawless and there was a nice balance struck between keeping people busy with exploration and activity and allowing an appreciation of the luxury of the ship. The crew and naturalists were top notch, the cabin was comfortable, food was excellent, and everything was taken care of. I really liked the scale of the cruise and the itinerary. Ramiro and the crew were superb.